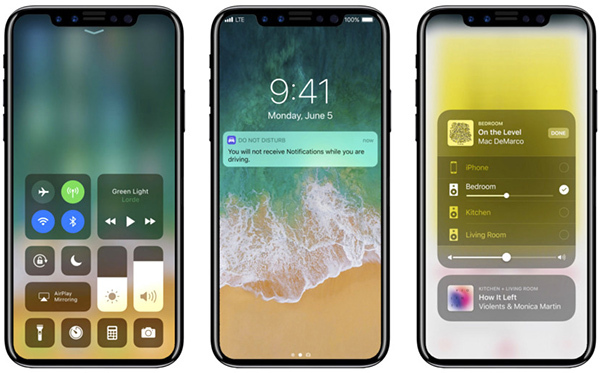 Here are some iPhone 8 renders based on leaked rumors showing iOS 11 running on Apple’s next flagship expected to launch later this year. 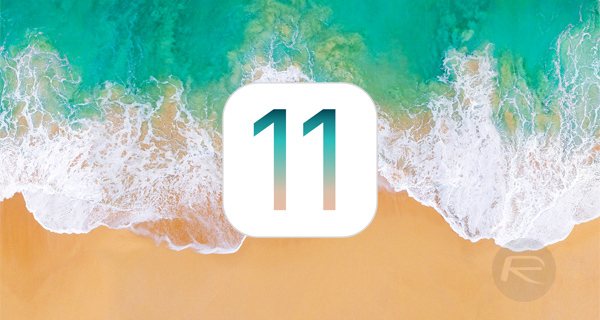 The opening keynote of WWDC is now over, and with it came the unveiling of iOS 11, macOS 10.13 High Sierra, watchOS 4, new Apple hardware in the form of the HomePod, a 10.5-inch iPad, and much, much more. 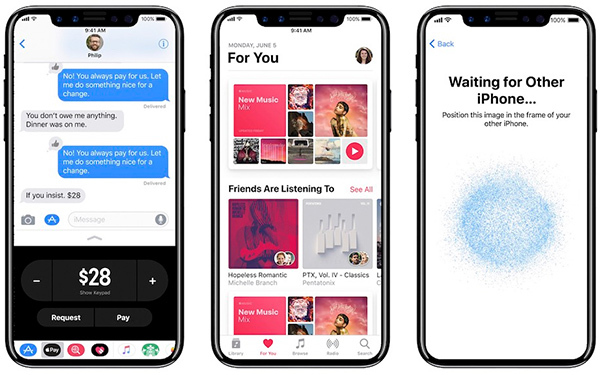 It was definitely the biggest WWDC yet in terms of announcements, but now that it’s in the past, attention is being turned back to Apple’s iPhone 8, with a new set of renders actually showing the hardware running iOS 11. The renders reaffirm a few things that have been kicking around the Internet for a while. First of all, we see the iPhone 8 with a stunning front visual devoid of almost all bezels around the display – a feature that has been rumored for quite some time now. A number of previous reports have argued that Apple will be having a full-size displayed with a front-facing camera and microphone embedded beneath the glass. These particular renders disagree with that, showing a cut-out at the top of the device where the aforementioned modules will sit. Apple’s continuation of Touch ID, and more specifically, how that Touch ID sensor will be integrated into iPhone 8, has been a very hot topic of conversation. There are a number of different thought patterns on this, but this new report is of the belief that the hardware will be integrated into the brand-new OLED panel to offer a seamless and almost invisible biometric experience. There’s also a suggestion that the hardware will come with “laser and infrared sensors” to work alongside the improved 3D iSight camera system to offer facial recognition and iris detection. Interestingly, there is also a suggestion that Apple’s next-generation iPhone will come with a “large pad on the inside” which will be there to facilitate wireless charging for the device. The recent announcement of the company’s ARKit in the iOS 11 SDK, and the fact that the iPhone 8 hardware is expected to ship with a vertically aligned dual-lens rear camera specifically for AR and VR, all but confirms that we will be welcoming in some augmented reality capabilities. As is always the case, we don’t really know exactly how much of this has any basis in reality, and how much of it is purely conjecture, but it’s still wonderful to see some more information and get a chance to look at iOS 11 actually rendered onto a visualization of the new iPhone hardware.